The digital culture created in the virtual space provides a more liberal and open environment for the people, with fewer restrictions from real life. The current research on virtual reality self-expression has mainly been discovered as an independent aspect of the real self. 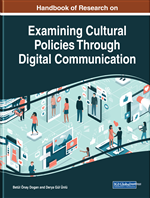 The chapter also analyzes the use and perceptions of virtual users in the virtual world by focusing on the construct that creates different virtual cultural experiences. For this purpose, the “Second Life” game, which provides a three-dimensional and online virtual environment modeled by the real world, is taken as an example. In the survey, we interviewed 10 people from Second Life to find answers to our questions. As a result of their work, Second Life plays a vital digital life in a dynamic digital culture that is different from their real lives in response to the question of how they build a world with communication, culture, identity and lifestyles. A virtual one is a reflection or break that is not directly needed for a real object (Burnett, 2007, p. 125). It is seen as a technology that allows you to enter the interactions we actually perceive with different users in virtual reality. At this point, virtuality is addressed in two categories, game-oriented and social-focused (Nagy and Koles, 2014). Increased Reality: A type of reality that brings the real world and the virtual world together and lets us interact with the digital world without breaking away from the real world. Simulation: For the purpose of designing the model of the real system and operating the system with this model, it is the period during which experiments are carried out to understand the behavior of the system or evaluate different strategies. Virtual Reality: It is all of the software and hardware tools designed to make perception of a virtual universe perceived by the individual as real. Digital Culture: Briefly, it is a form of new culture that is formed with digitalization. The digital term in digital culture is used for electronic systems that store, process and transmit digital speech encoded in the form of a digital sequence. Second Life Game: Second Life, Linden Lab, located in San Francisco in 2003. a company named by a company in a virtual world with the promise of a second life is a game designed. Virtual Space: The world that is created as a result of digitalization and is not real. There are no geographical boundaries in this world and individuals can interact with other individuals without passing any physical themes and with the identity they desire.